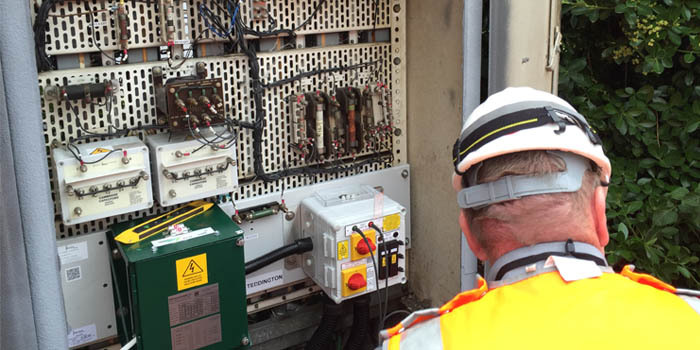 DEG Signal, with AGHE Ltd as a sub-contractor, working for S&T Cover Ltd has been awarded a signalling / E&P design contract to rectify identified deficiencies at 56 non-public area sites throughout the Wessex area. 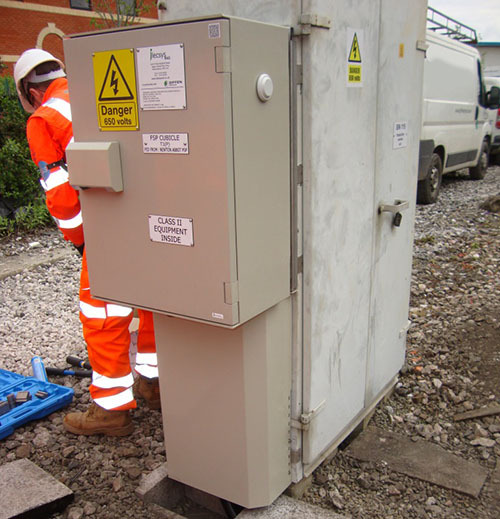 The need comes about following a railway worker receiving an electric shock on a 650V signalling power supply system. The Office of Rail and Road (ORR) issued an Improvement Notice relating to 650VAC signalling power supply systems. 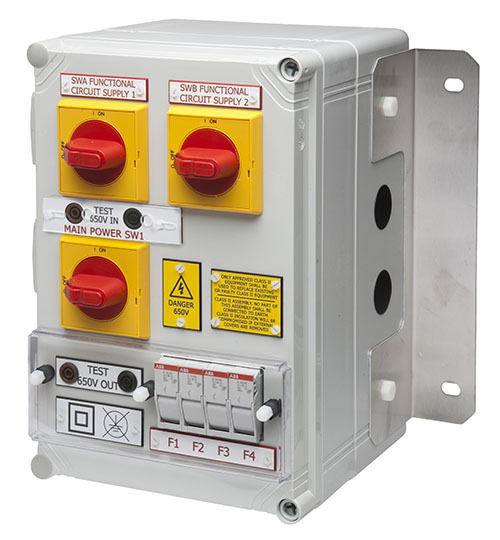 Subsequently, (as stated in NR/SIN/119 Issue 2) discussions with the ORR have confirmed that the maximum safe working voltage is 60VAC or 120VDC. Consequently, there is a requirement that equipment operating above the maximum safe working voltage used for signalling power supply or signalling control circuits, be upgraded to safer power supplies. Within the Wessex Route, a detailed asset condition survey was carried out and a condition survey was undertaken to confirm the extent of the works required at each location. Image: Micro FSP04. There are over 40 approved versions on offer. Available with 10x38mm ABB or BS88 CAMaster fuses holders. 1. Class II Micro FSP: Inside existing location case. 2. Class II Annexe Type FSP: Clamps using an innovative bracket system to the existing location case. 3. Standalone Class II FSP: New apparatus case for the power supply. Image: Annexe FSP complete with Micro FSP and Hybrid Class II Transformer. Clamps to the existing case using innovative bracket system. No removal of bolts and hinges. Also available in stake and wall mount versions.